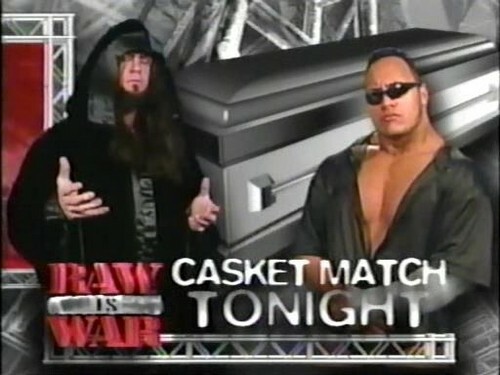 The Undertaker vs The Rock, Casket Match Card, 1999. From "WWF Raw is War" in May 17th, 1999. Wallpaper and background images in the Undertaker club tagged: undertaker wwf wrestling deadman wrestler wwe phenom corporate ministry 1999. This Undertaker photo might contain zonnebril, donkere bril, and tinten.